In response to the passage of the Western Hemisphere Travel Initiative (WHITI) passed by the government of the United States of America in 2004, as of June 1, 2009, all travelers Mexico, whether by land, air, or sea, need a passport to enter Mexico. 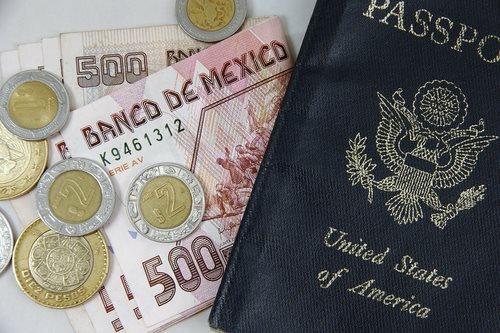 On paper, American citizens do not need a passport for Mexico, but the Western Hemisphere Travel Initiative requires everyone entering the United States of America to possess a passport. Mexican passport requirements apply to anyone passing beyond the "border zone," a twenty to thirty kilometer zone along the Mexican- American border. Mexican passport info indicate that children under the age of eighteen are required to carry notarized, written permission from any parent or guardian that is not traveling with the minor. In lieu of a passport, info for these minors must include the name of the parent and child, the name of anyone traveling with the child, and a notarized signature(s) of the absentee parent(s). The State Department of the United States of America also recommends that in addition to having a passport for Mexico, the statement should include travel dates, destinations that will be visited, the airline used, and a summary of the travel circumstances. In addition to their passport, info about the travel plans should be carried by the child or their guardian, and should not be a facsimile or scanned copy.